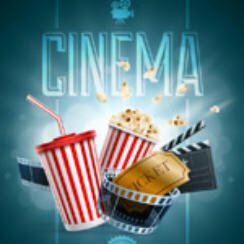 Popcorn Cinema Show takes at look at the movie releases 29th April 2016 for the UK, US, Australia and New Zealand at the cinema, plus all the weeks film news. So what is the big new release this week? That would be Captain America: Civil War in the UK, don’t worry it hits the US next week! Director Guy Hamilton died aged 93 on 20th April 2016. He directed four James Bond films, covering both Sean Connery and Roger Moore. For a second week The Jungle Book stays top at the Box office in both the UK & US. The Avengers find themselves split into two camps, one led by Steve Rogers and the other by Tony Stark. Investment banker Davis’s (Jake Gyllenhaal) life has collapsed following the death of his wife in a car crash. Following a series of events a letter originated by Davis finds its way to customer services rep Karen (Naomi Watts) and the two form an unlikely connection. A Christian high school teacher answers her classes questions on Jesus honestly sparking a hugh court case. Ratchet and Clank are out to stop the evil alien Chairman Drek, who intends to destroy every planet in the Solana galaxy. Rell’s cat is taken from his home and he along with friend Clarence are out to recover him. However thing take a turn for the worse when they encounter a violent gang. Stories centring on a divorcee who is looking for love, a TV host and a women who want a better relationship with her mother, in the run up to Mother’s Day. Not the best week in terms of releases, if however you love Captain America then I suppose you are going to be happy. Not much really interests any of us the week at Popcorn Cinema Show.